Thank you for your request. The presented object is a washstand or vanity with the measurements of 5 x 3 feet. 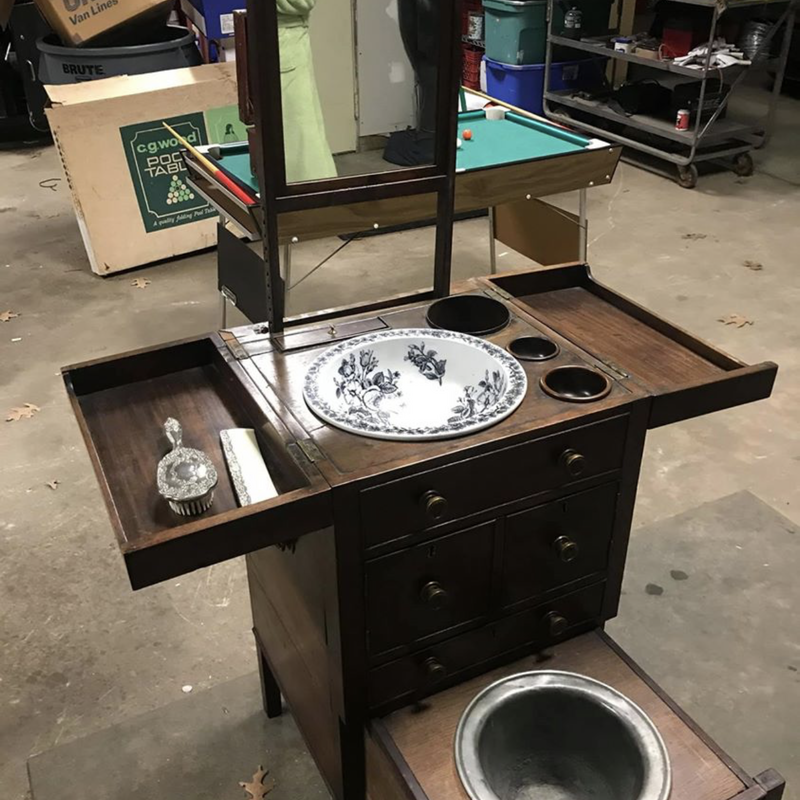 As it is common for a washstand we see a mirror and a porcelain or enamel washing bowl on top. The interesting aspect of this vanity is that all compartments like the mirror can be swung out. Sadly no further detail images are added so the exact dating and identification of the wood is difficult. It seems to be made out of mahogany and made in the late 19th century or early 20th century. An estimation would be between 150 to 300 USD.